Abstract. 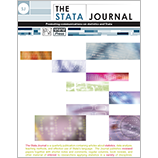 In this article, we introduce a user-written data envelopment analysis command for Stata. Data envelopment analysis is a linear programming method for assessing the efficiency and productivity of units called decision-making units. Over the last decades, data envelopment analysis has gained considerable attention as a managerial tool for measuring performance of organizations, and it has been used widely for assessing the efficiency of public and private sectors such as banks, airlines, hospitals, universities, defense firms, and manufacturers. The dea command in Stata will allow users to conduct the standard optimization procedure and extended managerial analysis. The dea command developed in this article selects the chosen variables from a Stata data file and constructs a linear programming model based on the selected dea options. Examples are given to illustrate how one could use the code to measure the efficiency of decision-making units.